Do you have a habit of scanning all of your receipts so that you can keep track of your spending? 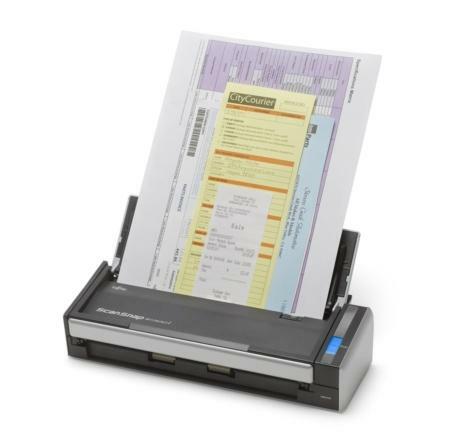 If you have answered in the affirmative, then perhaps you are interested in the Fujitsu ScanSnap S1300i portable scanner which is said to offer enhanced and faster scanning speeds, in addition to boasting the ability to send and store scanned documents to not only Android, but iOS compatible devices. Apart from that, there is also a new functionality that enablesusers to be able to perform uploads of scans to cloud-based services including Dropbox, Evernote, Google Docs, SugarSync and Salesforce Chatter. As for the compact Fujitsu ScanSnap S1300i, it tips the scales at 3.1 lbs. that offers a similar easy-to-use one-button scanning process, sporting a reliability that is similar to that of its predecessors. It is touted to offer consumers and business professionals the most productive, versatile scanning experience – regardless of whether you are at home or on the go. The ScanSnap S1300i will deliver a wide array of capabilities which no other document management company offers in a compact scanning solution. Among the new and enhanced features of the ScanSnap S1300i include Scan to Mobile, where you get Android-powered device support, a free “ScanSnap Connect” app that users are able to send scanned paperwork to Android compatible tablets and smartphones which run on at least Froyo (Android 2.2). The app will also be made available for the iPad and iPhone that runs on iOS 4.2.1 or later. “ScanSnap Connect” will be able to deliver a convenient way to send and store scans to mobile devices through a current Wi-Fi connection. This will also enable organizations to have a flexible solution in assisting the collaboration effort between colleagues and business partners. Either way, the app can be downloaded from the Google Play Store and the iTunes App Store. You can pick up the Fujitsu ScanSnap S1300i for $295 a pop.